The adorable Pembroke Welsh Corgi temperament will draw you in the from your first encounter. 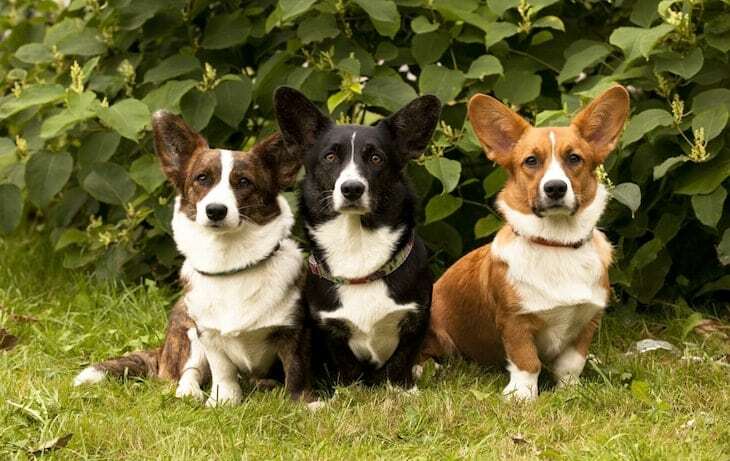 There are two Corgi breeds: the Pembroke and the Cardigan. The Pembroke is the younger of the two, and, interestingly, he is also more popular than the Cardigan. It's easy to remember which Corgi is the Pembroke because the Pembroke is the one who doesn't have a tail. Fun fact: The words “cor” and “gi” are believed to mean “dwarf dog” in Welsh. The Corgi, may not seem like a very fast dog, considering how long he is. But he is actually part of the herding dog family, and he's a fast little one at that! You have to be fast to be a herding dog. How else are you going to round up all of those sheep or cattle – especially when you have the small legs of a Corgi? One thing you have to know right up front about the Pembroke Welsh Corgi, in particular, is that he's a barker. He will bark at anything and everything that crosses his path. If this is going to annoy you, then this is not the dog for you. You may be able to train him to only use his bark when necessary, but you should be aware of this tendency in case you aren't able to catch it early enough to nip it in the bud. His barking stems from his history as a farm dog and his bold, protective temperament traits. He would bark as a kind of alarm to alert his masters if strangers were nearby, assumedly to help protect the livestock. Another thing you may not like about the Pembroke Welsh Corgi temperament is that his herding instinct may inspire him to nip at children's heels to “herd” them. Of course, this doesn't hurt at all, but it may scare the children and/or become annoying. You should train him out of this so as to help him understand that this sort of behavior is not acceptable. Corgis tend to be better with children if they see the children as being higher than them in the pack order. While the Pembroke is a herder at heart, he does prefer to spend time with his family. In other words, just because he loves to herd doesn't mean he should be kept outside. There's a time for play, and there's a time to come in and be with your loved ones. The Pembroke Welsh Corgi exhibits a Friendly, Outgoing and Playful Temperament. Exactly what you want in a family pet. He will do well in any living situation, so long as he gets his daily exercise. As with all dogs, the sooner you socialize your Corgi, the better he will do with other people and animals. 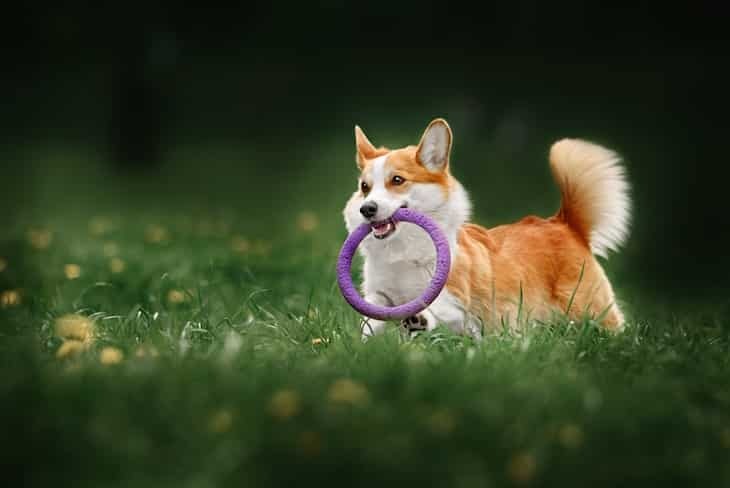 Corgis are no different from other dogs in that their nails need to be routinely clipped, and their ears and eyes cleaned to prevent buildup. The Pembroke is known to shed, with his busiest shedding period being late spring into early summer. Brushing him once a day should be enough to keep your carpets looking clean. During shedding season, it may be easier to give him a bath first to loosen all of the excess hair. Just make sure he's completely dry before trying to brush him. Here are 10 Do It Yourself Grooming Tips you can follow. 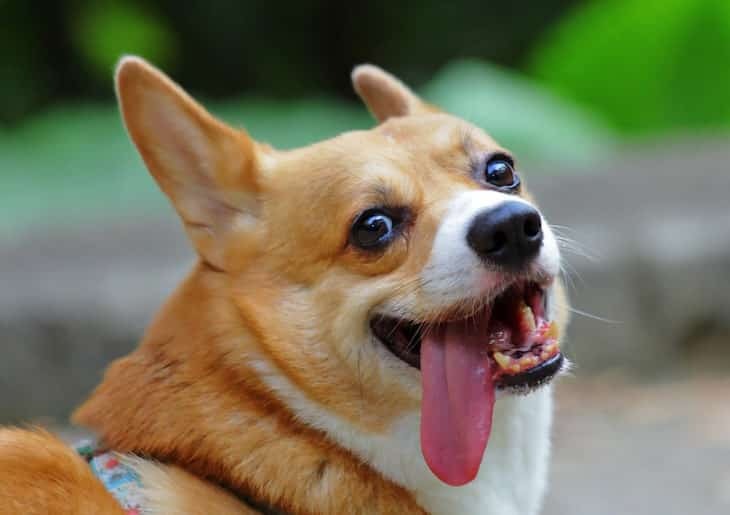 The Welsh Corgi is chock-full of energy. He loves to be kept busy, especially when he's given a particular task, as in dog sports. He should be exercised daily. Just be mindful of the exercises you choose. The Corgi is similar to that of other small dogs in that he is both smart and stubborn. He can learn quickly, but only if he feels like listening. This can have a negative impact on housebreaking him as well as other dog training you wish to conduct. As with all dogs, it is important that you remain firm and consistent when training your Corgi. A healthy Pembroke Corgi has a life expectancy of 12 to 13 years, which is slightly higher than some of his small-dog counterparts. Healthy Corgis weigh a maximum of 30 lbs. It is especially important that you monitor your Corgi's diet. This is because Corgis are infamous for stuffing their faces, so obesity can quickly become an issue. This is also true with training. Don't overdo it on the treats. Be sparser with the treats and ampler with praise. Of the two Corgi breeds, the Pembroke Welsh Corgi is the younger and more popular breed. He's also the one without a tail. While he loves to herd, and often does not limit his herding to just animals, the Corgi will enjoy being the family pet. However, he is prone to bark. This can make for a fantastic guard dog, but it can also grind on your nerves if a dog's barking can grate on you. Corgis love to eat, so it's up to you to make sure they don't overdo it. Feed him high-quality food, and keep a tight lid on those snacks. He is also no stranger to shedding, so be sure to brush him regularly.